Small Business Coaching - 3 Steps That Guarantee Profitable Sale. Every small business owner enters with the idea of making money. Once they’re in, time flies. Very few think about their lifestyle when they retire. It’s a problem. It’s not only the question of lifestyle. It’s the question of sale at profit. No business wants to sell at a loss. So what should small business owners do to prepare for selling their businesses at profit? I’m glad you asked. It’s part of small business mentoring. Take these 3 easy steps. You’ll be on your way to sell your business at profit. A) Get Small Business Evaluation. Few small business owners sit down and evaluate their own business. It’s about setting aside time so you get the most value. 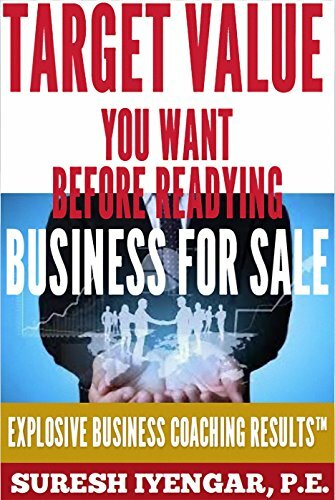 If you don’t, it may be too late to make changes and prepare the business for sale at the price you want. And when you want. So I created a small business evaluation. It offers high value to a small business owner. And for limited time, it’s available at a low price. It will take you through 100 questions. They will cover time, team and money in your small business. You’ll get a report and certificate, which shows how your business performs. It will help you see if you’ve reached the “Freedom” stage. It is the final stage where you get surplus cash with little work. Finding out what the small business is worth isn’t the last step. It could start any time. There are 3 different ways to find business worth. It could use cashflow, market or assets. Let me suggest the cashflow method. It’s the one to start now. Not just when you’re ready for sale. It’s similar to knowing your home value. And you want to know just to have an idea. Here again, we have 2 ways to boost value. First method uses business valuation. Small business owners can take steps to improve their debt and profit ratios. Second method uses the gaps from the small business evaluation. Small business owners work on leading signals to grow their business value. Taking these 3 steps will prepare your business for sale at profit. It will give a small business owner the lifestyle he could look forward to.